It’s not enough to just read a bird’s body language- to truly understand a bird you MUST be able to empathise with a bird. I go alot more further when interacting with birds. As a born empath/intuitive, clairvoyant and reiki practitioner, I am able to holistically understand birds. I resonate with them immediately- I read their mind, I read their past and present. This helps me understand what the bird has experienced in the past in order for me to heal the bird in the present. 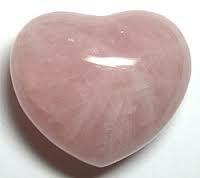 All my birds have carefully chosen crystals within their living areas, eg rose quartz for love. Just as people, birds have memories and emotions and their lives affect them on all levels, ie, emotionally and physically. It is no secret that animals suffer similar illnesses to people eg, dementia, arthritis, heart issues, cancers. It is also common knowledge that emotional blocks cause physical blocks and diseases in people. This is the same for birds/animals. Once I ‘see’ and ‘feel’ the emotional issues of the bird, I am able to translate this into the possible present or future diseases. It is also common knowledge that animals/birds can see colours that people usually don’t see and that animals/birds ‘sense’ and experience dimensions that people generally don’t sense either. As a clairvoyant, I see and feel things that are not in the 3rd dimension, and I am very aware when my birds see and feel the same. Their body language changes into a defensive one, they start yelling or talking and their eyes are on full alert. Birds sense spirits just as dogs do. In the meantime, don’t forget that the soul and mind of a bird is no different to the soul and mind of a person. Some people say that animals have incarnated in soul groups- well the same is said with people. Just as people incarnate to interact with the same group over people lifetime over lifetime, then just maybe birds choose to live with their newly incarnated owners and bird families. 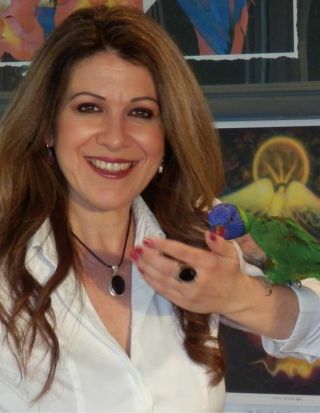 I shall be updating this page with links discussing birds/animals and holistic therapies. 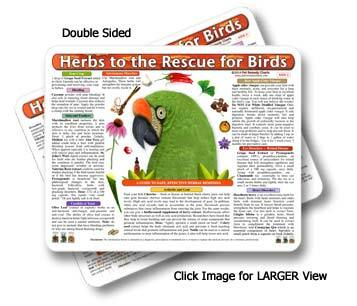 With early treatment, most acute conditions of a sick bird, can be treated and resolved at home, (without drugs) using the natural healing methods for birds found on the Herbal Medicine, Homeopathy, Flower Essences and Acupressure Pet Remedy Treatment Charts.